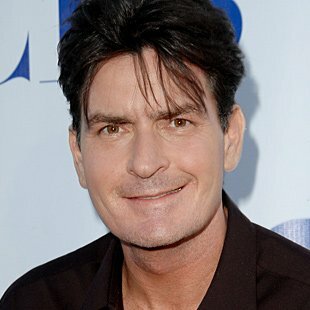 Actor Charlie Sheen is convinced testosterone cream is to blame for his highly publicized 2011 meltdown. The actor staged a series of bizarre media interviews and an ill-fated U.S. comedy tour after a public feud with bosses of his hit TV show "Two and a Half Men" led to them firing him over his erratic behavior. Sheen has vehemently denied allegations alcohol and drugs were the root of his problems as he attempted to recover from the loss of his show, and now he confesses he believes a topical solution he used to boost his energy levels and libido was the cause. He tells TV host Katie Couric, "I think I was doing too much testosterone cream, and I think it metabolized into … a steroid. I think it was a bit of a roid rage. That's the only thing I can point to to explain (it). There was no booze, no pain pills, seriously there was nothing, there was no street drugs." The 47 year old eventually got his life back together, and landed a leading role on the series "Anger Management," and he's thankful his actor dad Martin Sheen was there to knock some sense into him. He adds, "He was very supportive. He didn't know who he was talking to, he wasn't talking to the real guy, he was talking to some version of me. So he backed off and then when it all slowed down and came to a stop, he said, 'Let me give you advice: Get back to who you know you are, go get your money from the studio and take care of your kids.' That was great advice. I did all three."